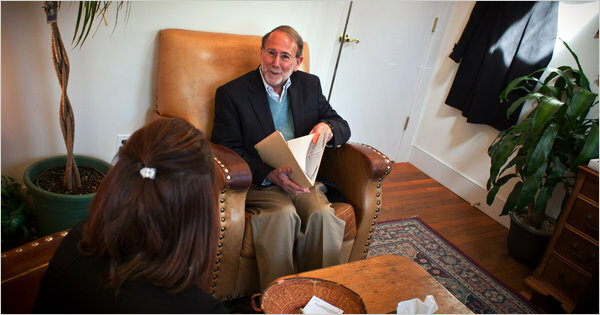 “I had to train myself not to get too interested in their problems, and not to get sidetracked trying to be a semi-therapist.” DR. DONALD LEVIN, a psychiatrist whose practice no longer includes talk therapy. On a recent day, a 50-year-old man visited Dr. Levin to get his prescriptions renewed, an encounter that took about 12 minutes. Two years ago, the man developed rheumatoid arthritis and became severely depressed. His family doctor prescribed an antidepressant, to no effect. He went on medical leave from his job at an insurance company, withdrew to his basement and rarely ventured out.